1 What to do in cusco? The city of Cusco was diagrammed in the form of crouching puma. Certainly, both for diagramming and your appreciation, you need to do it from an aerial perspective. It is conceivable that this symbolism of sacred animals as protectors of human beings is in line with the geoglyphs of Nazca. Cusco is an ancient town and all streets center are Incas and has many small squares, view points, museums that you can walk and visit. It was built in the early years of the conquest by the Indian chief Christopher Paulla, lord of Qolqanpata, as a sign of their devotion to Christianity. The statue of the patron saint is gigantic and is paraded in procession on the feast of Corpus Christi. During Inca times, this area was in the Cusco Hanan Qosqo or higher belonged here Pumacurco neighborhoods, Choquechaca, Tacsecocha and the same Qolqampata. This area is the repository of many Inca buildings that are scattered in the area, being part of Qolqampata palace that belonged to Manco Capac, the first Inca. A large wall-platform eleven rigging cell niches and remains of Inca architecture excellent factory, can be seen at the top. Paullo Inca Tupac Yupanqui, converted to the Christian religion, taken as godfather Commissioner Don Cristobal Baca de Castro, which uses his name to found the chapel that was built on one side of the square under the palace of Qolqampata. If you want to know more of the Cusco´s evolution of the pre-inca and Inca Culture you can visit the Inca Museum. There you can find all about Cusco, like ceramics, mantles, pieces of gold and silver and most importantly elongated skulls that just the Royal people had (these skulls has different versions and some investigators say that probably are not of humans). 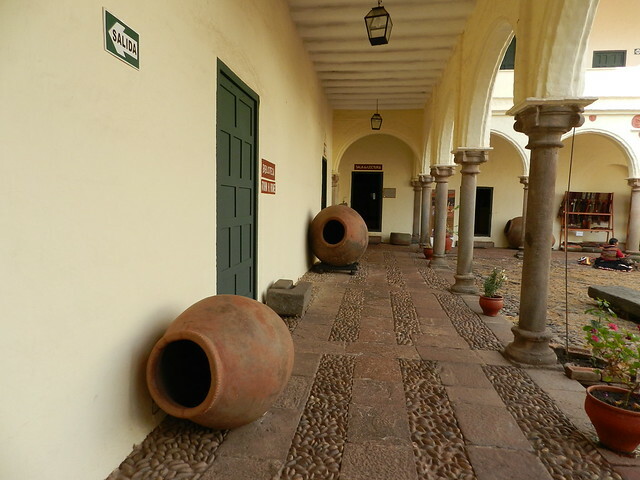 Inka Museum is one of the most remarkable cusqueñas colonial houses. Built in the early seventeenth century, with Inca stones, by Lieutenant Corregidor Francisco Aldrete Maldonado, called the Almirante this lived there until his death in 1643. Rebuilt by Pedro Peralta of the then Rivers earthquake of 1650 and was again restored by the University San Antonio Abad of Cusco after the earthquake of 1950. currently holds the coat of arms of their rebuilders, who added the attractive plateresque today looks as well as its large courtyard arcades and paneled rooms. On the street Rumiyoq Hatun, also known as the Calle Roca Mayor, is the palace of Inca Roca, which currently belongs to the Archbishop’s Palace. In this street you can see the enigmatic stone of twelve angles from Cusco that is considered unique in the world and is a cornerstone reference in the city of Cuzco. The street runs from the Plaza de Armas to the San Blas district and it is really very easy to locate that stone in the city while you walk there. The Stone of twelve angles is famous for the perfect assembly at the corners and sides which can not be entered or a pin or paper. The stone fits perfectly and it is possible to take pictures next to it. The stone has a considerable size. It should be noted also that there are all kinds of crafts and souvenirs in Cuzco using this stone. View and take a picture on the stone of 12 angles is definitely a must-stop for those traveling to Cusco for sightseeing or vacation. 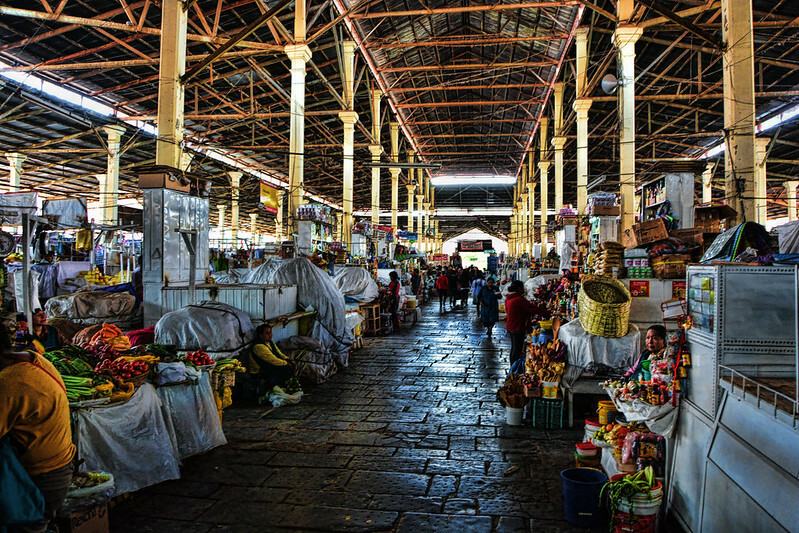 Going to Cusco’s mercado central is such an experience that I thought it deserved to be described as an attraction. Enter the market, is to know the cultural heritage of Cusco, their customs, their histories, their products, their aromas, their way of exchange, the living culture here reaches an authentic expression because it is known that the market is a focus where it comes together the need, where the daily meeting, a theatrical staging between sellers and buyers takes place continuously repeated over time. Tourists can see the color of his surroundings, the first thing you can see are the full fruit counters, exposed in a very particular way, here is the order of composition, pictorial; lush accumulation so far in his view, the disorder is curiously well established, so it can see benches where you can taste traditional food and delicacies in different presentation, according to the taste of the visitor, alongside these counters are others who offer some commodities for trade and supply of the city, is the case of maize, extracted from the huge variety of corn of all sizes and colors, plenty of fresh meat stalls, also other typical products such as potatoes, cassava, sweet potato, peanuts, fresh vegetables, dry products, and lots of handicrafts and traditional clothing, located in a huge warehouse just a few blocks south of Plaza de Armas. It’s also a popular place to go for eating on the cheap since several stands offer full meals. While these are especially popular with the locals, tourists have nothing to fear from the seemingly casual way the food is prepared for every stall must respect high quality standards. In general to buy better-quality souvenirs, San Pedro Market is much cheaper than what you can find elsewhere in the city. For those who are good at it, this is a good place to go to practice your bargaining skills.